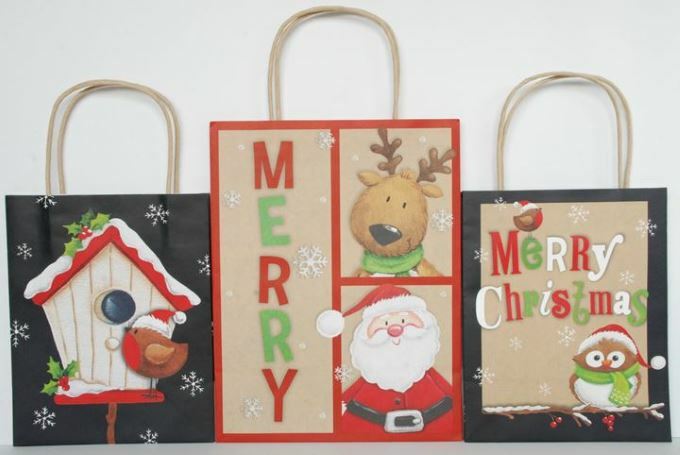 Christmas Decor – Reindeer, Snowmen, Santa! The Christmas decor theme “blows it out of the park” – very cute. 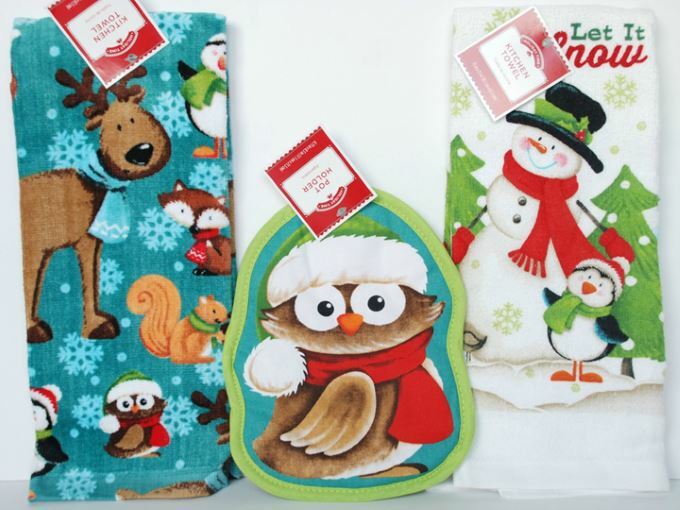 It features reindeer, snowmen, huggable Santa, and lots of forest animals who like to wear scarves. 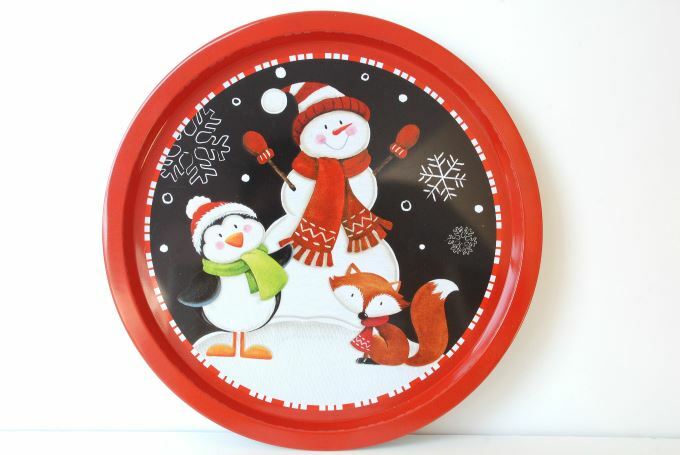 So cute – you won’t want to cover this tray up with cookies. This metal tray is about 12 inches wide. I love the reindeer towel. It was priced higher because the fabric is thicker and more velour. These kitchen towels were there one week but gone the next. 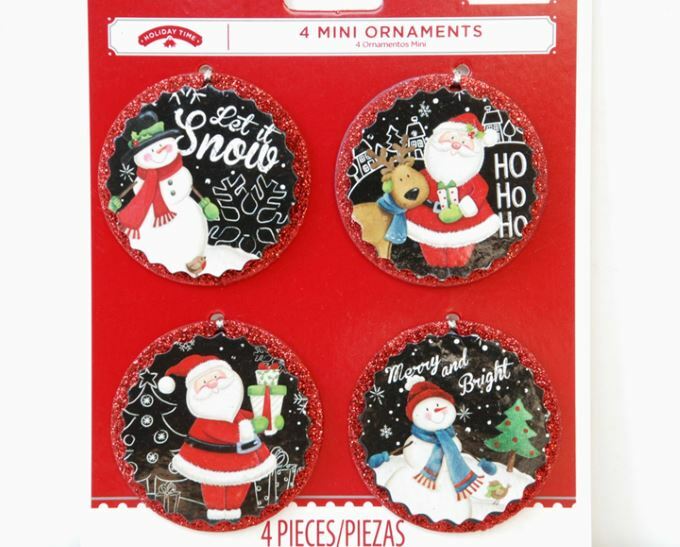 The artwork on these ornaments is so detailed and pretty. The red glitter is a nice touch. They are about 2 inches wide. I wish the bird on this bag came as a figurine. The gift bags come in many sizes. 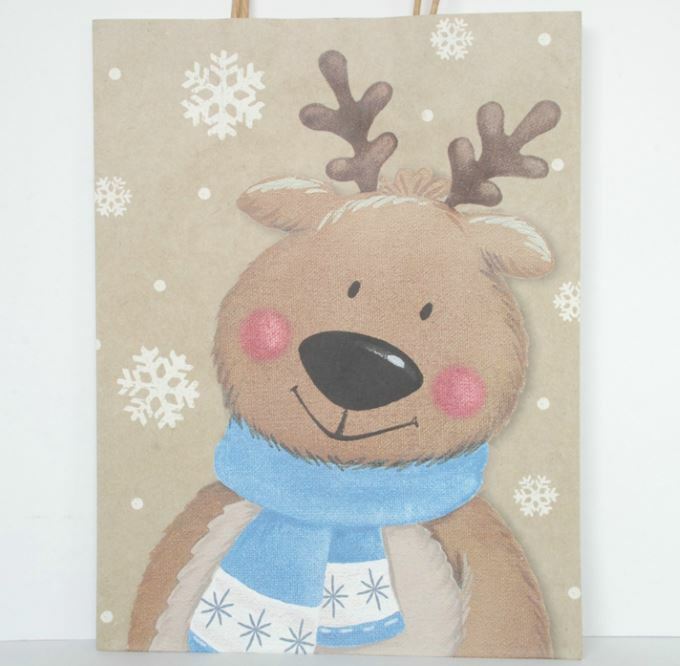 Loved the close up of this reindeer. How adorable is this drink dispenser? He would look good on a cookie jar too. They also have a Santa dispenser with a black belt around the center. My kids will be happy to see him every time they open the fridge. He’s about 12” tall. 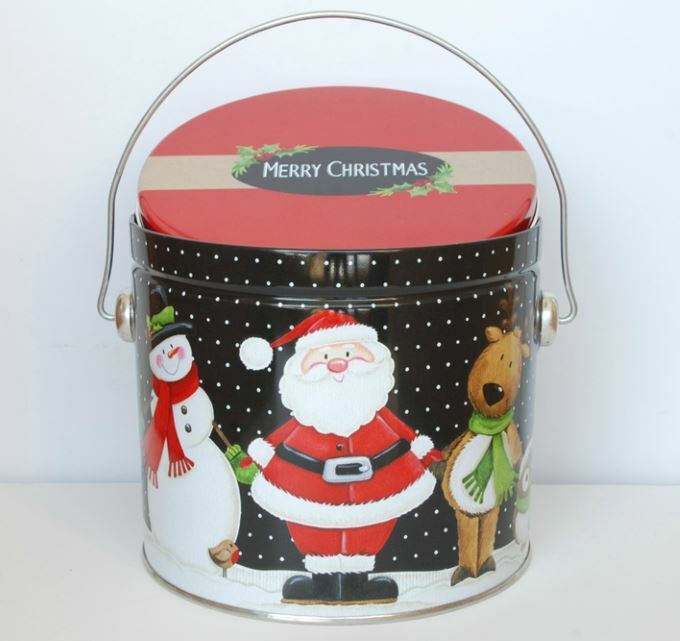 This sweet tin container was a great find. It will look nice with some Christmas treats in it for our cookie exchange. It is about 6 inches wide. Christmas decor is flying off the shelves. So if you see something you like, get it, or it will be gone. 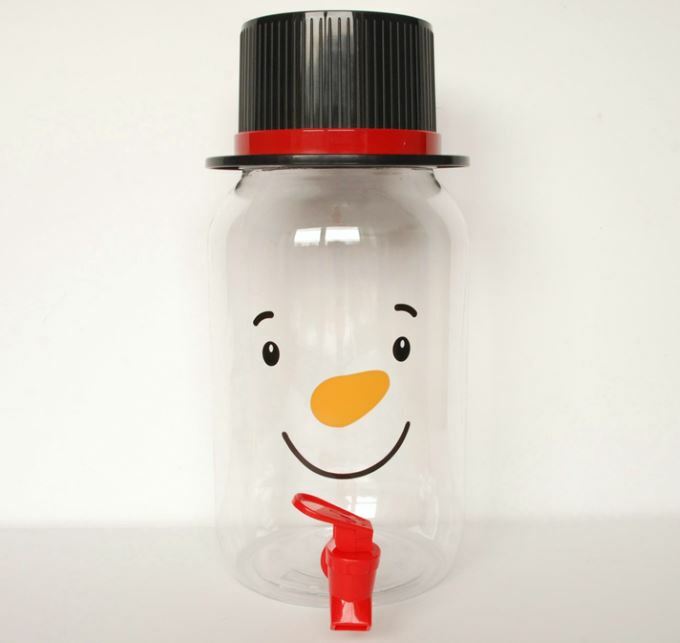 Do you have the sku for the snowman drink dispenser? My local walmart has one left and there’s nothing to scan so they said they can’t sell it to me. My receipt says: DSPNSR SMAN 017994225405 $4.97 (before Christmas price). I hope you’re able to get it. I’m so glad you like it as much as I do. Good luck!